Racist words engraved in El Dorado County grave markers. This photo shows three of the grave markers that contain the N-word when description the soul buried here. There is a cemetery in El Dorado County that is making new headlines this week for offensive words stamped into grave markers of African Americans. The U.S. Army Corps of Engineers released new documents Wednesday that show federal, state and county officials knew racial slurs were being used on the grave sites. The documents show the n-word was also used on several official forms. Corps spokeswoman DeDe Cordell called the find "embarrassing." There are 36 grave markers at a Northern California cemetery have it stamped in the headstone. 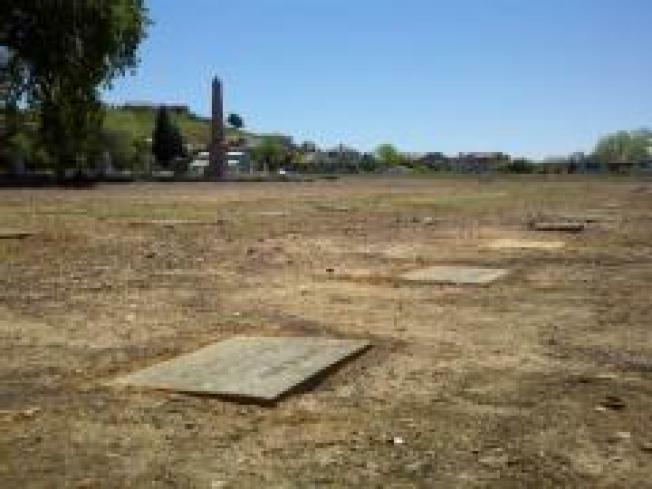 The markers are of bodies that had to be moved back in the 1950s to make room for the Folsom Dam. "We have released all our records. We don't know who first started using the term," Cordell told KCRA's Mike TeSelle. The El Dorado County Board of Supervisors discussed what to do about the headstones last week but took no action. Groups have known about the headstones for years, but they have not been able to do anything about them. The Army Corp spokesperson said Wednesday that is about to change. Cordell said although the Corps no longer owns the cemetery property, members are willing to roll-their sleeves and volunteer manpower to erase the slur from headstones if that is what the community wants.